JKBOSE 12th Result 2018 for Kashmir Division is expected to declare soon on jkbose.ac.in. Check dates as per past trends here. JKBOSE 12th Result 2018 Live Update @ 17:50 pm: As per the latest update available on social media, JKBOSE 12th Annual Regular Result 2018 is expected to be released today. The circular available suggests that JKBOSE 12th Result would be released at 8:30 pm today. Official update is expected soon on jkbose.ac.in. Check updates on this page. 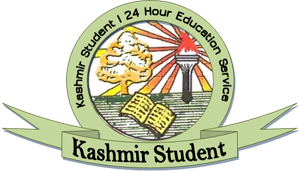 Jammu and Kashmir State Board of School Education, JKBOSE is expected to next release the result for JKBOSE 12th Regular Annual Result 2018. JKBOSE 12th Result 2018 for Jammu Division as well as JKBOSE 10t Result 2018 for Jammu as well as Kashmir Division have already been released on the official website. JKBOSE 12th Result 2018 for Kashmir Division is now expected by January 11 on jkbose.ac.in. Students to please note that the date is as per the last year dates and general trend followed by the board. 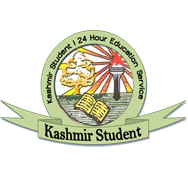 Last year, the board had released the Class 12 Kashmir Division results on January 12, 2018. In contrast, the JKBOSE 10 Result 2017 for Jammu Division were released on January 8, 2018. Since the results for JKBOSE 10th Jammu Division were released earlier than last year, it is being expected that the result for class 12 may also be declared sooner. Students are again advised to keep a check on this page and also on the official website jkbose.ac.in for update on the results. The results may declared by January 11. Some sources suggest that the results may release tomorrow. This, however, could not be verified from the board. Updates on JKBOSE 12th Result 2018 for Kashmir Division is expected to be released soon now. Updates would be provided here, as and when available. Students can also click on the link to the official website jkbose.ac.in provided here to check updates on the result. The result would be displayed on the home screen.